They say that if you come to SG looking for a job, attend a mass in Novena Church and for sure you’ll get one soon. 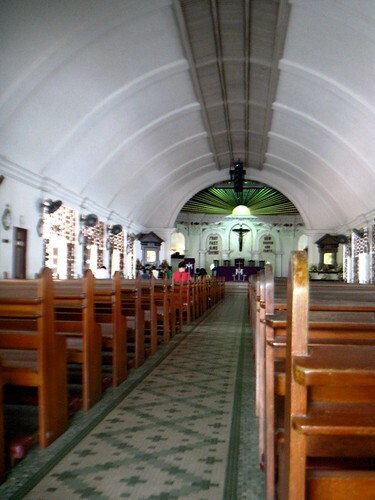 It just so happened that Miko and I went to the Novena area yesterday to submit our resume to some PR companies who hold office there and so we’ve decided to drop by the church. There’s nothing great about it really. It’s not even a well-designed church like the one that we visited in Vietnam. There are no elaborate designs on the walls, no impressive architecture and fixtures. It’s just a medium sized, relatively newly built, catholic church. Nonetheless, it is believed to be a job-giver by the Filipino’s that I’ve met here. (Well, actually, two Filipino friends said so. They said their friends said so. 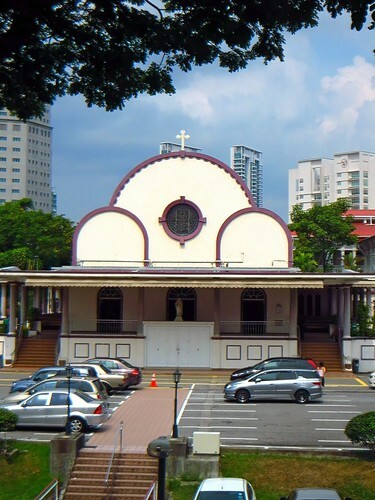 And so on… ^_^) One Filipino guy who I met while waiting for a bus strongly advised that I should go to Novena, attend a mass and for sure I’ll get a job. That’s what he did. Now, he’ll be working as a manager in a mall somewhere (He came here just last February 02). To be honest, I’m not a believer. Why? Because I believe praying can be done anywhere and anytime. Limiting yourself to one church to give you the best chance of getting a job here is quite… limiting. (haha I don’t know what word to put in) And, if you think about being practical, traveling “this far” from downtown will cost you additional fare money which you can spend one something else more important, like a bread when you’re hungry, water when you’re thirsty or it can bring you to someplace else to look for a job. Jpo, that's a lovely verse 🙂 Highlighted already in my bible. Stay faithful. who knows, it's worth a try naman. see i can see some light today (Tuesday) hahaha! tap on the back! i know. haha maybe it's because of that visit!